At Emerson Bearing, we understand that regardless of how you look at a ball bearing, they are a vital element in any system that supports moderate to heavy radial and axial loads. 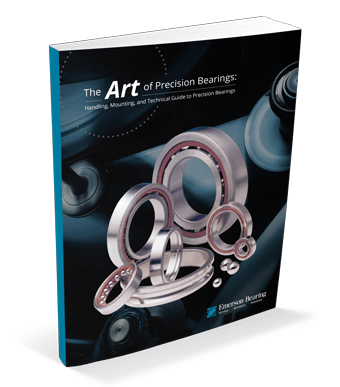 In our eBook, The Art of Precision Bearings: Handling, Mounting, and Technical Guide to Precision Bearings, we have compiled our knowledge into an all inclusive guide for your convenience. Fill out the form on the right to access The Art of Precision Bearings: Handling, Mounting, and Technical Guide to Precision BearingseBook.